(Trent Nelson | The Salt Lake Tribune) Sen. Todd Weiler, R-Woods Cross, speaks on SB138 in the Senate Chamber, Salt Lake City, Friday, Feb. 23, 2018. 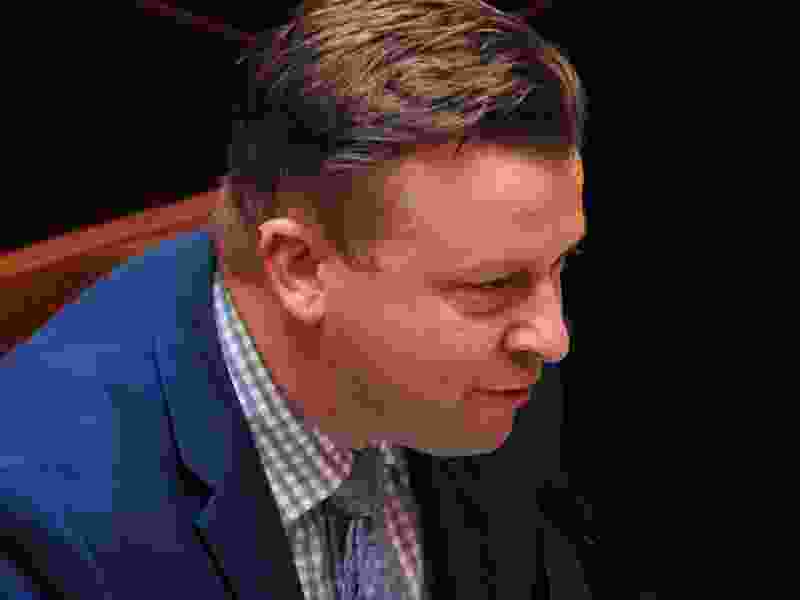 The man bankrolling efforts by GOP ultraconservatives to fight a new Utah election law says Sen. Todd Weiler, R-Woods Cross, tried to bribe a woman with $1 million to bring sexual-harassment charges to smear him and his political efforts. Weiler says he offered no bribe, and feels the woman indeed was sexually harassed by his accuser, Dave Bateman, CEO of the Entrata software company. Weiler says a lawyer friend figured the woman could win up to $1 million if she pursued a lawsuit. Weiler adds that Bateman “is trying to use me to generate publicity” to attract more right wingers to Tuesday’s GOP caucus meetings seeking to give them more power against party moderates. Bateman says that is false, and that he plans to sue Weiler for slander and has filed a criminal complaint. To back that up, he released a voicemail that Weiler sent to a friend of Bateman’s girlfriend. Both are employees at Entrata. Weiler said the voicemail was sent to a close friend of his family, who had told him and others that “her co-worker from Entrata had just ended a sexual relationship with Mr. Bateman,” who was recently divorced. “When the relationship ended, her job hours and job duties were changed,” Weiler said. Weiler said Bateman obtained the voicemail by showing up at the home of his family friend at 2 a.m. on Friday, and demanded her cellphone — which is owned by Entrata. 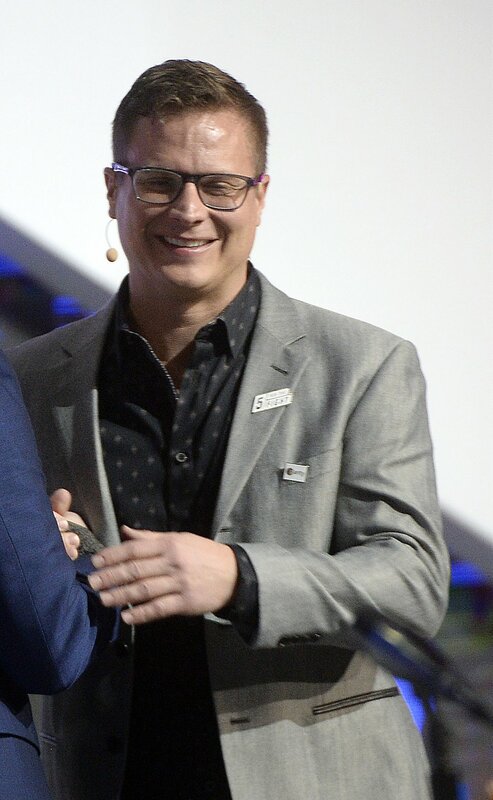 (Al Hartmann | The Salt Lake Tribune) Dave Bateman, Entrata CEO, speaks in the opening session to more than 14,000 people at the 2018 Silicon Slopes Tech Summit at the Salt Lake Convention Center Thursday, Jan. 18. Bateman adds that he met his girlfriend last Memorial Day, two months after he was divorced. He said they broke up in December, a month before Weiler’s voicemail, but were still on good terms and are in a romantic relationship again now. He said he filed a complaint with Lehi Police alleging attempted extortion and plans a slander suit against Weiler. Lehi Police Lt. Toby Peterson confirmed that Bateman had filed a complaint. He said his department is in the initial stage of investigating the allegations and is not yet releasing the complaint. The debt came from a party lawsuit seeking to overturn a state election law, SB54, that allows candidates to qualify for the ballot through the caucus-convention system and/or by gathering signatures. Bateman also vowed to cover future costs of the lawsuit, now on appeal with a ruling pending from the 10th Circuit Court of Appeals in Denver. Delegates, who tend to be more conservative than most voters, view candidate signature gathering as diminishing the party’s power to choose nominees and delegates’ role in the selection. Moderates say the caucus-convention system tends to nominate people far to the right of the political mainstream. Bateman is also an organizer of the Keep My Voice petition seeking to overturn SB54. Bateman’s video by name attacked people including GOP Chairman Rob Anderson, Sen. Curt Bramble, Rep. Mike McKell and Lt. Gov. Spencer Cox. He said the Buckshot Caucus had a suite at the Jazz game where they talked, as mentioned in Weiler’s voicemail.